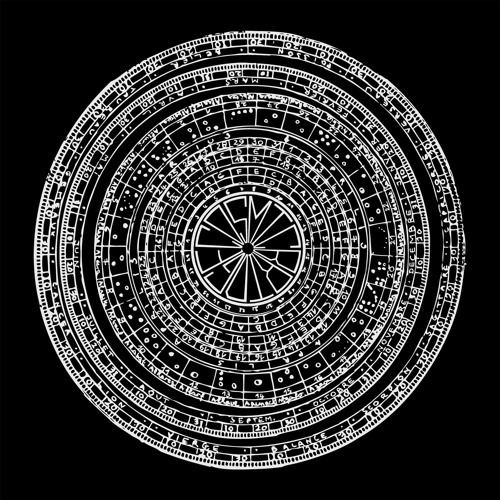 Get it Here https://cosmicbridge.bandcamp.com/album/om-unit-presents-cosmology-volume-2 CBR015 ARTIST: VARIOUS ARTISTS TITLE: OM UNIT PRESENTS COSMOLOGY VOLUME 2 01. DJ Madd feat Jay Spaker - After Dark 02. Danny Scrilla - Riddim 03. Moresounds - What A Party 04. Om Unit - Wagonist Riddim (Sully's YM Steppers Mix) 05. Moresounds & DJ Madd - Undastand 06. Om Unit & Fracture - Chatting Breeze 07. Graphs - Wrist on Glacier 08. Om Unit Spiritwerk (Loxy & Resound Remix) 09. Om Unit x Distance - Half The Battle 10. Danny Scrilla - Rigel 7 (VIP) Download Compilation Album Released: 11th Dec 2015 Cosmic Bridge returns with Cosmology vol. 2, a new compilation celebrating the label's roots and its ongoing progression into the realms of dubwise sound system music and the “slow/fast” sound. Once again selected by label founder Om Unit, the ten exclusive productions that make up Cosmology vol. 2 showcase the talents of existing artists, new faces, and kindred spirits operating in the deeper waters of the drum & bass world. Opening the proceedings is the label's latest addition: Hungarian-born, NYC-residing DJ Madd alongside vocalist Jay Sparker. ‘After Dark’ blends traditional roots vibes and modern day sub pressure with a catchy hook to start things off on the right foot. Parisian dub scientist Moresounds and German vibes specialist Danny Scrilla both deliver two cuts each, the former teaming up with DJ Madd for ‘Undastand’ at the half-way mark of the album and the latter taking us out with an ambient VIP of his piano-led ‘Rigel 7’. Last but not least, Boston's Graphs, who debuted on the label at the tail end of 2014, teases the tension on the short but sweet ‘Wrist On Glacier’. The rest of the compilation sees Om Unit in collaboration mode. First with partner in crime, and Astrophonica boss, Fracture for ‘Chatting Breeze’ and a subtle homage to the enduring influence of Chicago's footwork sound. Then on ‘Half The Battle’ where he spars with none other than Distance over a sparse production that channels the dark energy and eyes-down fetichism of classic dubstep. Completing the picture are two remixes of recent Om Unit productions: London's Sully crunches ‘Wagonists Riddim’ down into 8-bit audio pixels while drum & bass veterans Loxy & Resound propel ‘Spiritwerk’ deeper into the abyss. With Cosmology vol. 2, Om Unit and crew continue their search for the perfect beat and invite you to join them for a rightful celebration. Forward! Cosmology Volume 2 is released on 11th December 2015 on Cosmic Bridge Records. @cosmic-bridge: Large Up Cosmic Bridge! Just when I thought the original couldn't be bettered. Top-10-tunes-of-the-year material. haha dope use of that sample!! @omunit: Haha don't get me wrong, it's a really good track, just wasn't expecting this.